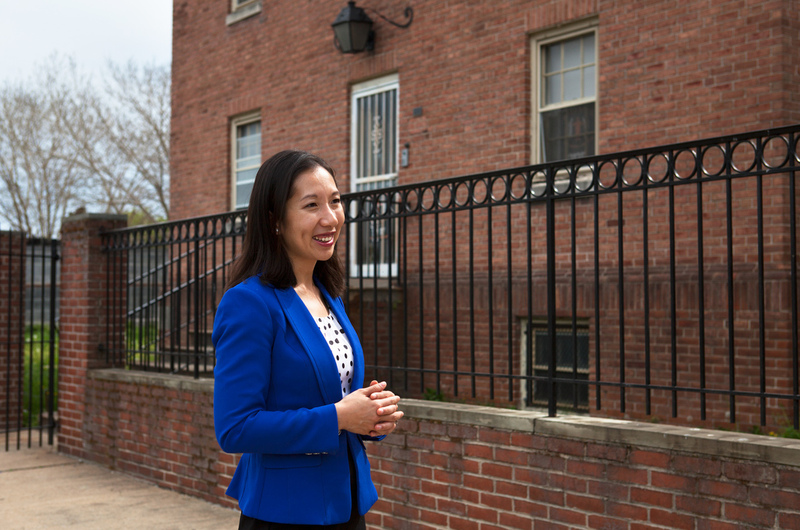 Dr. Leana Wen Reflects On Her Public Health Push : Shots - Health News A year after Baltimore erupted in violence over the death of Freddie Gray, Dr. Leana Wen, the city's health commissioner, talks about progress and setbacks in dealing with issues the unrest exposed. North Stricker Street near Riggs Avenue in the Sandtown-Winchester neighborhood of Baltimore. To wrap up our series on public health in Baltimore, Audie Cornish met up with Baltimore City Health Commissioner Leana Wen in Freddie Gray's neighborhood of Sandtown-Winchester. The health department recently opened a new outpost of its violence prevention program Safe Streets there, employing ex-offenders to mediate conflicts before they erupt in violence. Wen spoke about pushing a public health agenda in a city that has long struggled with poverty, violence and addiction. She also talked about what she, as an emergency physician, has learned in her first stint in government. Here are interview highlights, edited for length and clarity. We have gotten significant national recognition for some of our programs, including our programs to respond to the opioid overdose epidemic. I had the opportunity to testify in front of the U.S. Senate and House and was invited to speak with President Obama about Baltimore's work. I do believe that because of the way we've focused on addiction as a disease, that that's changing the conversation in our city and actually, is leading the way around the country. People are beginning to see Baltimore not as [the HBO drama] The Wire and heroin overdose but actually as a model for recovery and resilience. 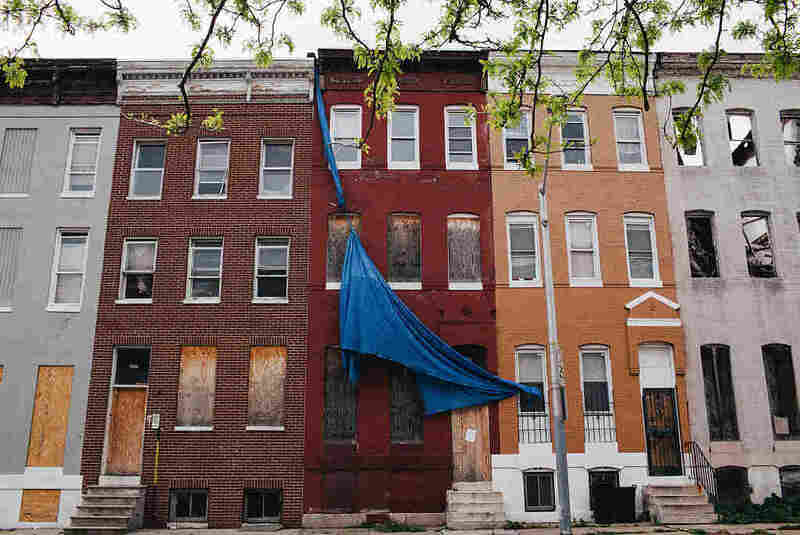 The unrest [after Freddie Gray] paradoxically opened the door for us to address trauma, which is a natural segue to talk about mental health and the bigger picture of emotional well-being. People finally felt like they could talk about the trauma they've experienced for so many years. It's the trauma of police brutality. It's the trauma of discriminatory practices. It's the trauma even of being poor. We now want to convene a citywide group to address this issue, which is very difficult because ultimately, the trauma work has to be done at the community level. Dr. Leana Wen, Baltimore City health commissioner, visits a newly opened Safe Streets center in the Sandtown-Winchester neighborhood in West Baltimore. I'm not blind to the problems that exist. But I also realize these problems have been in the making for decades. We're not going to be able to make a huge difference overnight. But there are things we can do along the way to demonstrate to our community that we hear you, and this is what we do in the meantime. We cannot solve the issue of addiction overnight, but we can reduce overdose deaths, and we have passed a Good Samaritan law [to protect people who help overdose victims] and we are introducing programs where individuals caught with drugs are not going to be incarcerated but actually, are going to be offered drug treatment. So we're showing that things can be done, and that we're taking small steps. And actually, our community gets it. If we just came to the community and said we're going to solve all of our crime problems overnight, they're not going to buy it. But if we say we know the success of Safe Streets, it's been demonstrated in four sites across our city, now we're going to open a fifth site in Sandtown, you can feel the energy and the optimism. And maybe that's why I'm so optimistic. I was never in the political world, and I'm not from Baltimore. So coming here, everyone was new. It's been a really steep learning curve. The things I've learned over the year have been a lot about myself, and who I am as a manager, who I am with navigating complicated politics and situations, but also what motivates me. And I've learned that I like a fight. I don't want to be in a situation where things are going well. I don't feel like I have anything to do in that case. In the ER, it's the patient dying in front of me. It's someone who is gravely ill, and my fight is the fight to save their life. I see the same thing in Baltimore. There are so many problems. There are so many fights I can have every single day. It's the fight to get health on every agenda, to change legislation, to change public perception and mindset, to reduce stigma, to introduce new programs in a time of severe fiscal constraints. I like a fight, and I'm good at it, and that is what motivates me. I'm learning now just how powerful that voice can be — to say, I'm not here as a politician. I'm here as a doctor and as a scientist. I'm here to give voice to all these issues that we've seen that are unfair — housing politics, policing policies, drug policies. And I'm saying from a health perspective how these policies have destroyed our community, and this is what we're doing about it now.